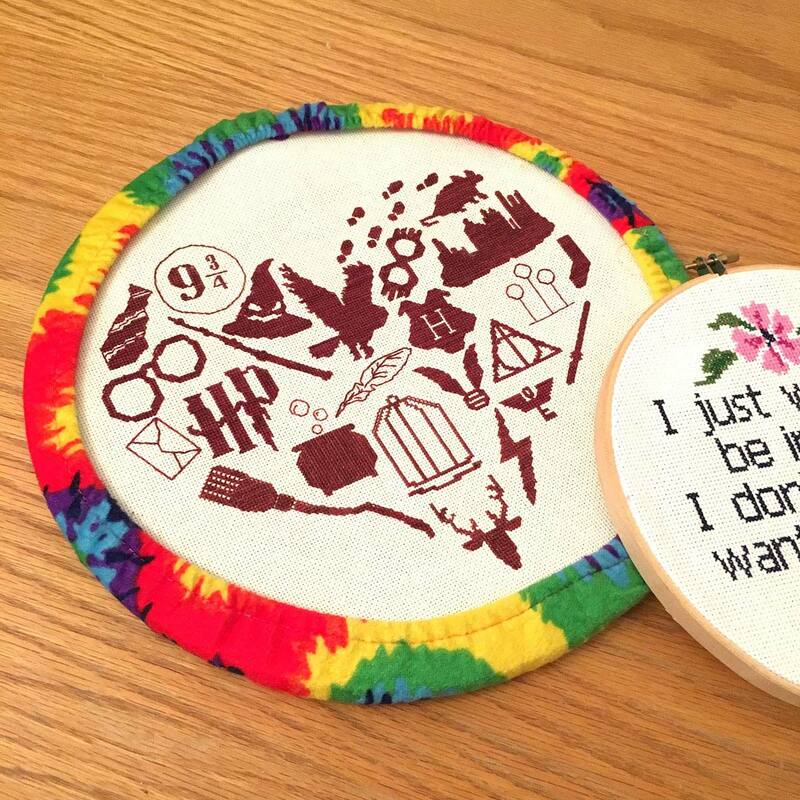 Keeping your fabric clean while working on a large embroidery or cross stitch project can be a challenge. 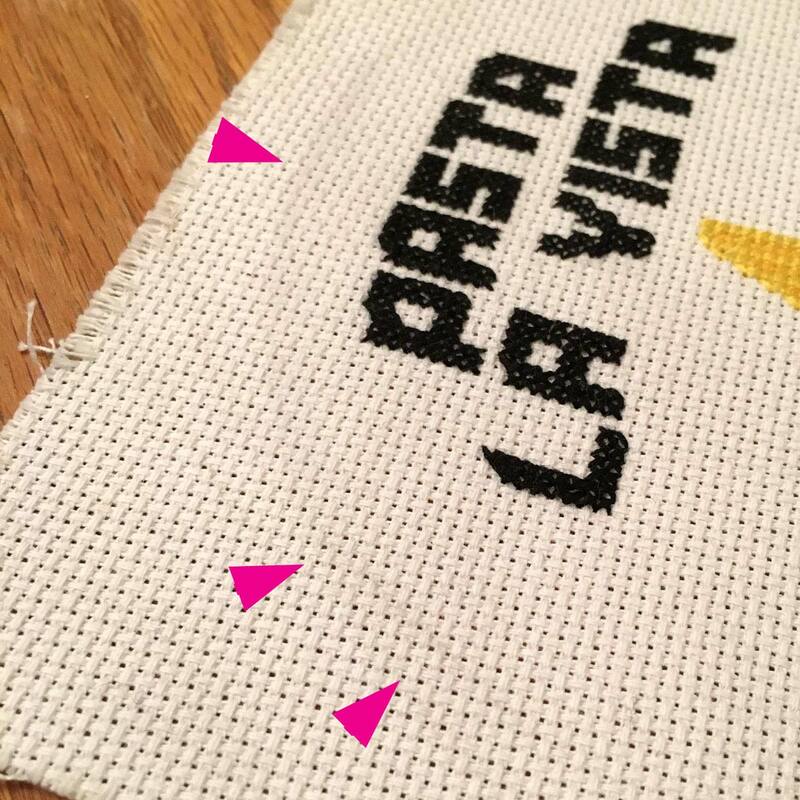 When your fabric is hooped up and you are working with it, setting it down or even just storing it in a tote bag, the edges of the work can come into contact with dirt and oils. These marks, usually left in the shape of a circle due to the hoop are often permanent. I had these kinds of stains on one of my recent pieces. While I was stitching I was wearing dark stained jeans and the blue dye from my pants rubbed onto my Aida while I was holding it in my lap. These stains never came out, even with washing. So I have found a solution to those hoop stains. A grime guard. These are protective covers for the outside of your work (either a hoop or q-snap or frame) that protect the edges of your fabric from dirt and grease. You can buy hundreds of different patterns and colors of grime guards on Etsy. 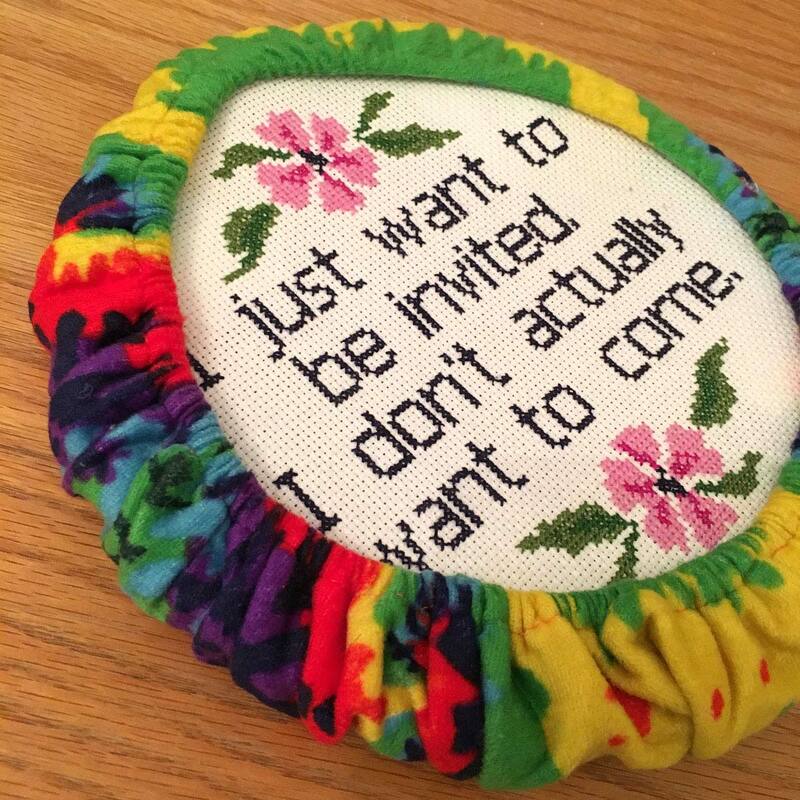 You can even have custom ones made. But I have a cheaper solution! I found my answer in the automotive section of the dollar store! But that isn't all you can do with dollar store finds! 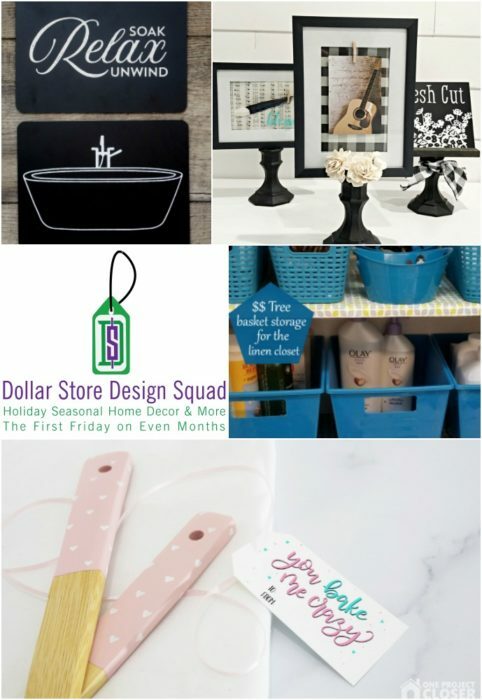 The dollar store design squad is full of great ideas this month! Check out the bottom of this post for more! 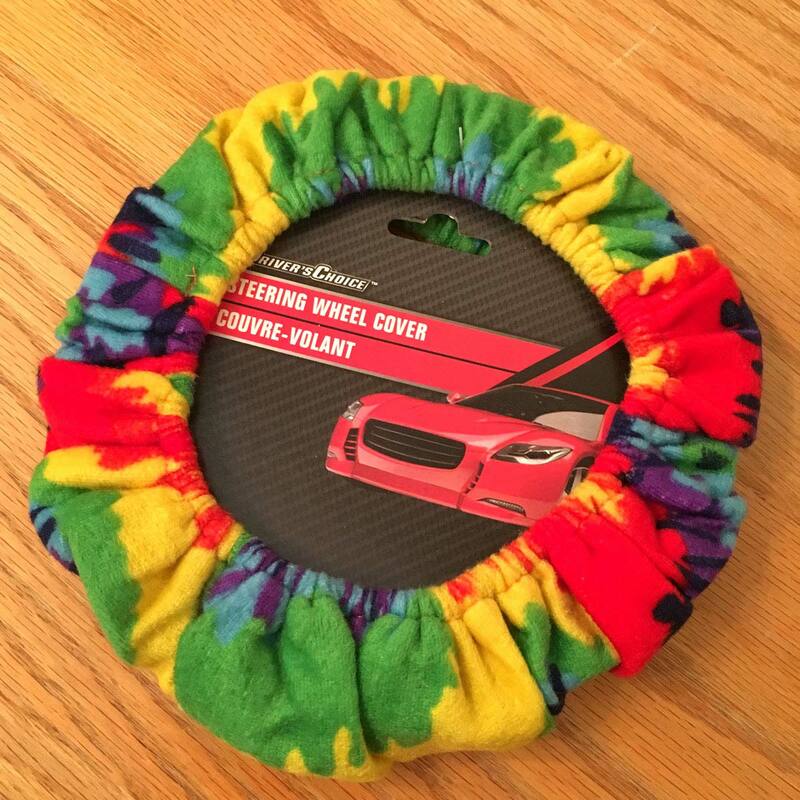 A fleece steering wheel cover fits perfectly over embroidery hoops (or even small q-snap frames). 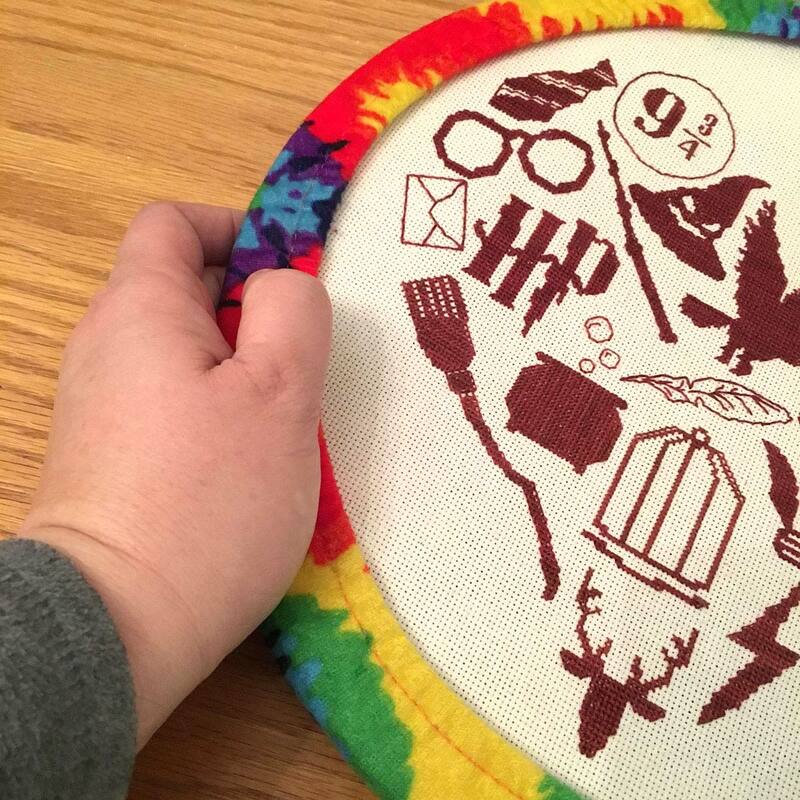 It is large enough to fit over a 16 inch hoop (about the size of a steering wheel) but retracts enough to fit a hoop as small as 8 inches. 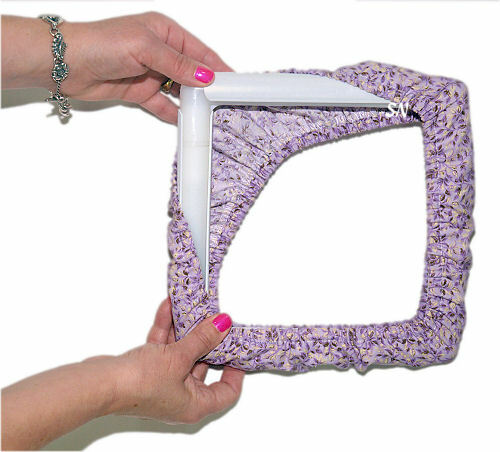 Plus the fuzzy soft fleece actually makes it more comfortable to hold your hoop. If you haven’t tried working with a grime guard, a small investment of only a dollar is a great way to start. Then if you decide you like the idea, you can upgrade to additional styles and sizes for the rest of your hoops, q-snaps and even scroll frames! I think you're brilliant Kim! 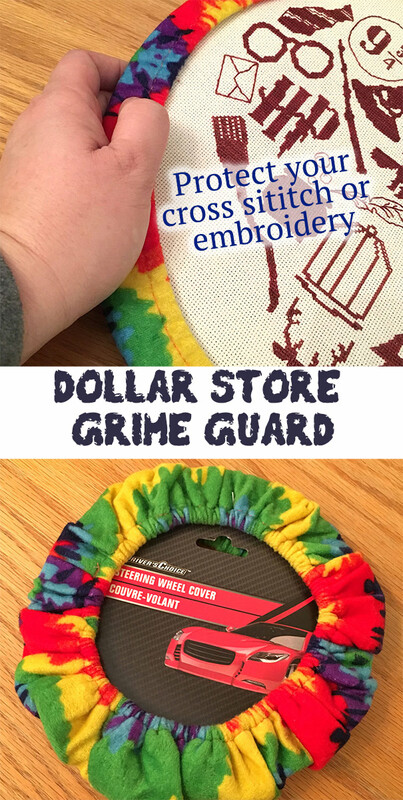 The dollar tree solution is a great hack for this prevent hoop stains problem. Thanks for joinging in this month.